Samia is a loyal podcast listener, and she enrolled in our course to improve her Reading and Writing scores. She’s taken the test 3 times already, and no matter what preparation she underwent, could not see any development in these areas. As she was working through the Writing Module in 3 Keys, she found that she still had some specific problematic areas. So, she signed up for the opportunity to record with me and receive a free consultation! 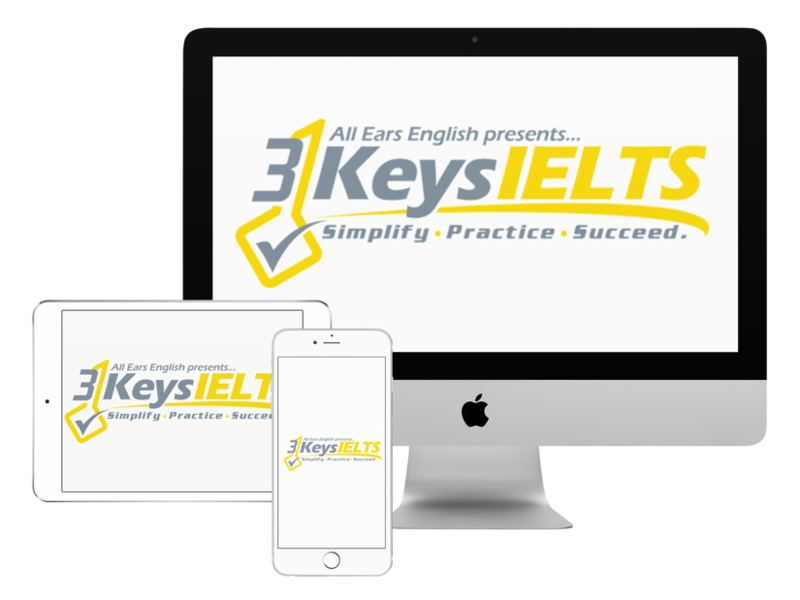 Question 1: When do I use to, at and of on IELTS Writing Task 1? Prepositions are a nightmare! I get it! Although we don’t encourage students to focus on small grammatical details like this, nailing the prepositions in Writing Task 1 is important. Question 2: What linking words do I use in Writing Task 1? For Change Over Time, use sequencers such as next, followed by, etc. For Static, use addition words, such as moreover, and contrast words, such as compared to. Question 3: Can I use personal examples in IELTS Writing Task 2? Yes! But, remember, use a mix between personal examples and fake research. And, always use formal vocabulary to express your ideas. Question 4: When do I write an opinion essay if the question says agree/disagree? When in doubt, write an argument essay! It’s more efficient and ensures that you answer every part of the question. What do you think of my advice today?